Do you own a fitness drumming studio and want competitive pricing on cardio drumsticks? We have bulk packages available. Click the following link. Fitness drumming should be fun. Bang to the beat and shed those pounds! These fashion pink drumsticks feature super comfortable grips to make holding on to them that much easier. QUALITY MADE IN THE USA, these thick, sturdy drumstix bear the famous and trusted 'Drum Bum' brand. Strong hickory wood. It is no longer necessary to know where to buy the best cardio drumsticks on the market for your exercise drumming program. Drum BuThe m is the place! We have a 20 year reputation for excellence. Need to buy in bulk? Give us a call! - 1 800 DRUM BUM. Need assistance with cardio drumsticks? The strongest and most durable weighted cardio drumsticks are what's in demand for high energy drumming workout classes! These are the most durable fitness drumsticks on the market for aerobics and exercise drumming programs. Made of a super-rigid polymer, they're thick, sturdy and weigh approximately 3.1 oz each. 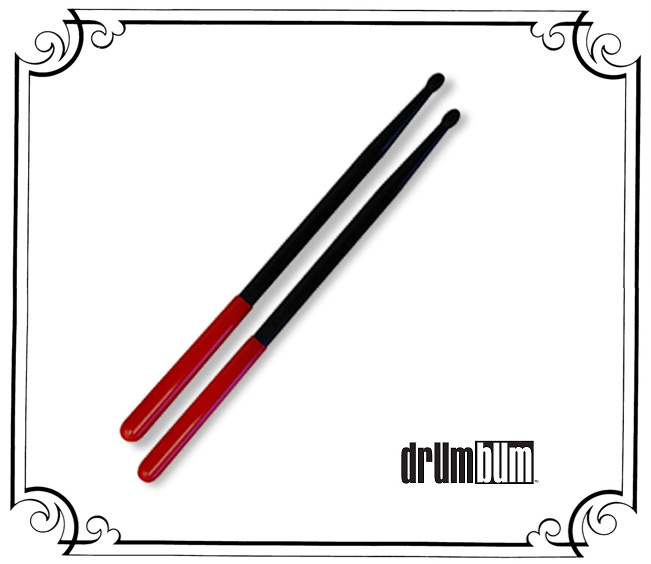 The rubber handles ensure a firm hold, enabling you to grip the sticks while concentrating on your drumming workout. 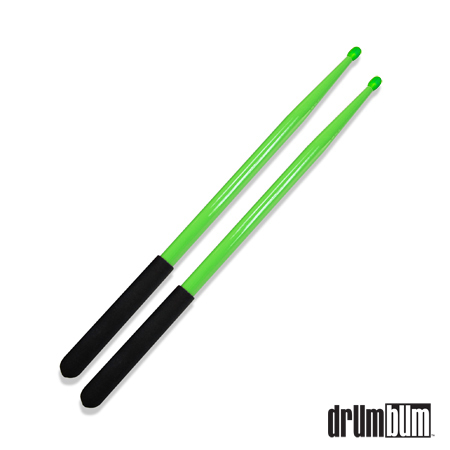 Green, Highest Weighted Cardio Drumsticks - 4.4 oz. These are the drumsticks that have had the drumming workout buzzing for years now. If you want the extra weight resistance in your exercise routine, these weighted cardio drumstix will help you tone those muscles and ensure the best results. Each drumstick weighs 4.4 oz and they're built solid! MADE IN AMERICA, these first quality sticks offer thick, comfortable grips and are built from strong synthetic polymer. Throw away those cheap China rip-offs and go with DRUM BUM brand, quality cardio made right here in America. DRUM BUM was the first on the market to provide 'quality' cardio drumsticks with comfort grips and we are still the best! Try them out and you'll see why. Certainly you've heard about the cardio drumming fitness craze by now. Those that want to lose a few pounds are now figuring out to have more fun through exercise drumming classes with colorful, weighted drumsticks. Cardio drumming incorporates routines with music, padded mats and rubber balls including an exercise instructor leading the way. The idea is to get in shape by using drumming and drumstix to 'rock' your body and lose weight the fun way! 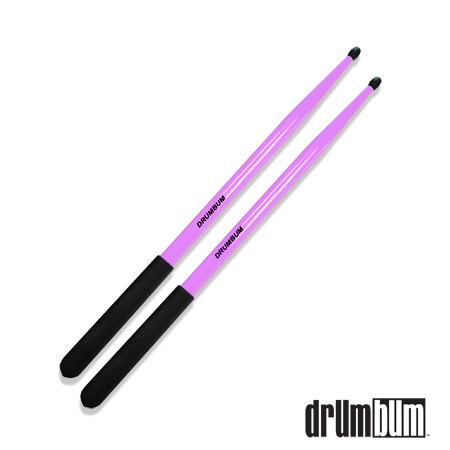 Don't miss our purple, designer series cardio drumsticks. Brand new and we're having trouble keeping them in stock! Need to Buy Cardio Drumsticks in Bulk? DRUM BUM is the most recognizable and trusted name in the fitness drumming industry. Our exercise sticks are of the highest quality and made right here in the USA. If you're in the market for fitness drumming sticks for cardio classes, you've come to the right place! The leader in Unique Music Gifts and Drumming Accessories. Drum Bum is an established brand of 20 years. Having started with only gifts and accessories, we later branched out into other retail products, opened many online stores, created a vast network of educational drumming websites and now provide other industries with unique products like our cardio fitness drumsticks. Our products have been purchased by top brands throughout the world such like Nike, Coca-Cola and others and have even been featured in movies like Ted 2 and Final Destination 3. We are proud to offer not only first class customer service but highly competive prices. If you ever need assistance, please don't hesitate to contact us. Cardo Drumsticks are available in different sizes, tips, and finishes. Call for more detail. Get fit and lose some pounds but do it in style! If you're enrolled in fitness or cardio drumming classes, you'll need quality, weighted drumsticks that will hold up to the rigourous drum workouts. DRUM BUM is the 'go to' brand for reliability! We've sold thousands of cardio drumstix to date and remain one of the leading suppliers to even cardio drumming studios around the country. Want bulk pricing on cardio drumsticks? Call us at 1-800 DRUM BUM. Want your own message or branding on cardio sticks for your cardio drumming programs? We can now brand our sticks for you. Call us to inquire about custom printing. For a minimum order of 144 pair, we can put your personal message on there. How about "Drumming Up Fitness" or "Susan's Cardio Studio". For cardio drumming supplies, you can reach us at 1-804-273-1353 or 1-800 DRUM BUM. Buy unique drumsticks for fitness and aerobic exercise classes!